Come back for seconds, y’all! 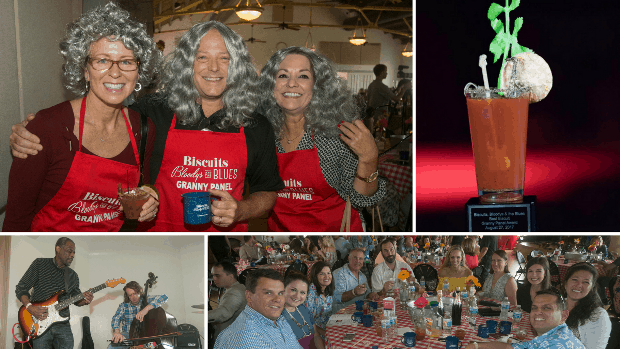 The Imperial Symphony Orchestra’s Biscuits, Bloodys and the Blues event returns August 26, 2018! Beat the heat with your reserved table for 10 inside the beautiful (air conditioned) Magnolia Building. You’ll sample – and vote for – the best biscuits and bloodys around, plus more delicious brunch food – including Mr. C’s Grilled Cheese, Salt & Fire Food Lab and A Cow Named Moo – so you’ll leave full! Plus, beer from Swan Brewing! A rockin’ blues crew will be jamming on stage and calling up some ISO musicians to join in!